Is there an absolute truth in a flexible opening such as the Pirc Defense? After I had played and studied the Pirc intensively for more than ten years I was sure I had found the best move order against each White system. Then I stopped playing the opening for a while and when I checked new ideas I realized that things were not that simple. Thus, the repertoire I recommend on this DVD is a combination of good lines in my old repertoire that have stood the test of time and new lines inspired by my fresh look at the Pirc. 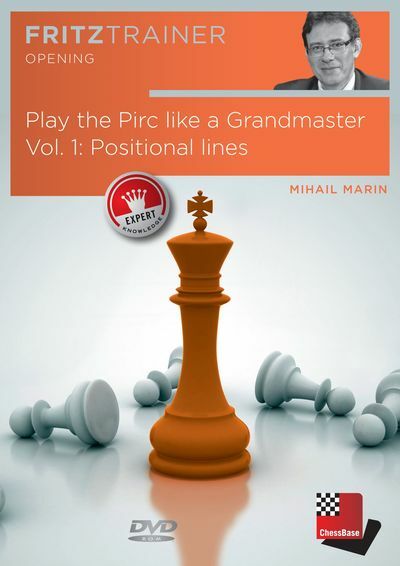 1* In the positional systems White does not try to refute the Pirc from the very first moves, but aims for a long strategic battle to prove that his space advantage and better development will finally give him the better position. These systems are by no means harmless and to hold his own and to get counterplay Black should first of all master the basic tactical and positional ideas I explain in detail. There are a few concrete lines I examine together with the general ideas and these lines should be rather easy to memorize. If you study the DVD carefully you should be able to reach complex strategic middlegames in which the better player has the better chances to win!